For all those times your parents made you eat your peas first—you deserve a few hours of total indulgence—Dessert FIRST! 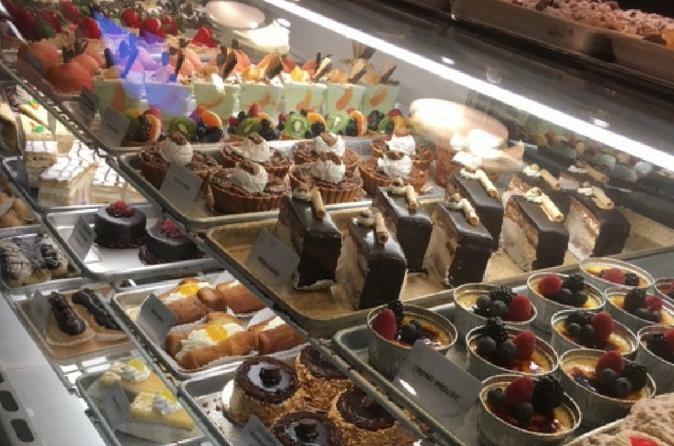 Chef Jacquie’s whipped up a confection of a PRIVATE walking tasting tour in South Philly’s Italian Market that will satisfy every sweet tooth. Open up your palette at the iconic Philadelphia gourmet cheese shop -world famous for its gourmet goodies and specialty foods. Expert cheese pairing—there’s nothing like something salty to go with your sweets! Watch out for the Black Lava Cashews—totally addicting! Sample local, rare and flavored honey at the neighborhood's favorite "honey bar". Sip the perfect cup of Italian Market Blend coffee to compliment authentic biscotti, gelato, and decadent chocolate covered pretzel —all made in-house. Tours can be customized to meet dietary needs. Gluten-Free options available!